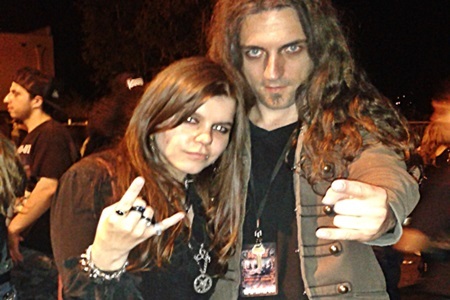 The Greek demigods of symphonic death metal have stormed through masterpiece records since 1991. 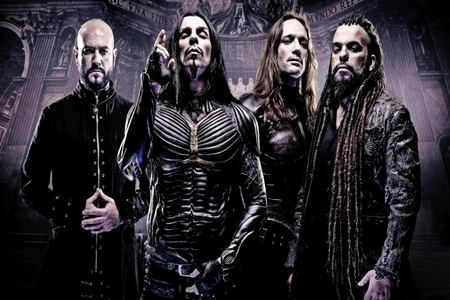 With masses of material heaving in doom-like wrath and saturated in mellifluous symphonies, Septicflesh are worthy of having their names engraved in stone as legends. 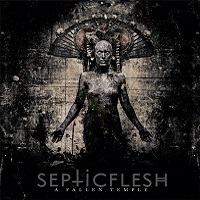 All across A Fallen Temple, Septicflesh flaunt their symphonic charm to the highest degree such as in all three acts of “The Underworld,” wield their most leaden intensities in pieces like “Erubus,” and marvelously mingle their cyclone stylistics as in the sovereign “Brotherhood of the Fallen Knights.” The broad instrumentals play a vital role in directing the many moods of the album, but the vocals are keys to the song’s differentiating dispositions. While the wondrous soprano chants by Natalie Rassoulis escalates a dainty delicacy of many tracks, along with flutes, trumpets, and other instruments of the concerto, the elegant mélange also enhances the gracious sonority of bassist/album artist/harsh vocalist Spiros “Seth” Antoniou’s dooming bellows. A Fallen Temple wheels around dazzlingly light to obscurely dark shades of symphonies and has a potent infiltration of operatic-angelic airs more so than in other albums such as Communion and even their last release, The Great Mass. 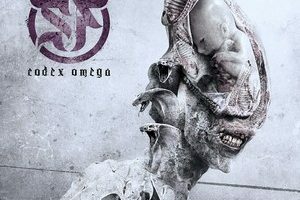 Septicflesh have long been known for their infectious divisions of Gothic symphonic death metal, but like the overturned cross encompassed in their logo, they inverted the darkness of death metal with A Fallen Temple, but maintained the sickness.